This information is intended for the investment community. PR Newswire, SAN DIEGO – January 23, 2017 – Using Astute Medical’s NephroCheck Test to identify patients at high risk for acute kidney injury (AKI) after open-heart surgery and providing them treatment recommended by globally-recognized care guidelines significantly improved outcomes by reducing the occurrence of moderate to severe AKI more than 33 percent, according to a study published this weekend in the journal Intensive Care Medicine. 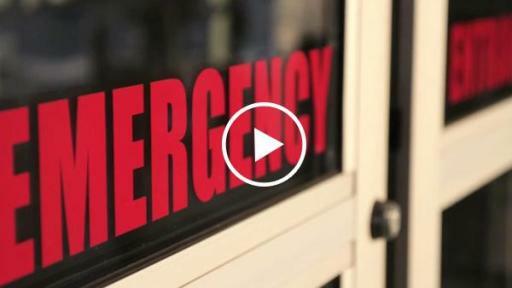 “This study shatters the myth that there is nothing we can do to prevent kidney injury and the severity by which it manifests,” said John Kellum, M.D., director for the Center for Critical Care Nephrology at the University of Pittsburgh and Co-Chair for the KDIGO AKI clinical practice guidelines. “The study clearly demonstrates for the very first time that ensuring that patients at high risk for AKI get a specific bundle of care can reduce the incidence and severity of AKI,” said Dr. Kellum, who is a consultant for Astute Medical and the inventor of patent rights for unrelated technology owned by the University of Pittsburgh and licensed to Astute Medical. 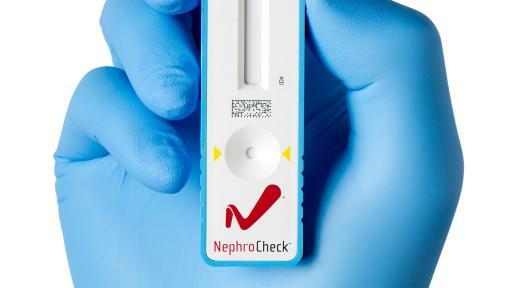 “The faster you can identify patients at low risk or high risk the quicker you can get them into the (treatment) pathway that is necessary,” said Dr. Kellum, who was the lead investigator in the FDA clinical trial for the clearance of the NephroCheck Test. The study details a randomized control trial led by Alexander Zarbock, M.D., at University Hospital Muenster, Germany, a 1,300-bed facility with expertise in cardiac and vascular medicine. Clinicians used the NephroCheck Test to measure TIMP-2 and IGFBP-7 four hours after patients had coronary artery bypass surgery. 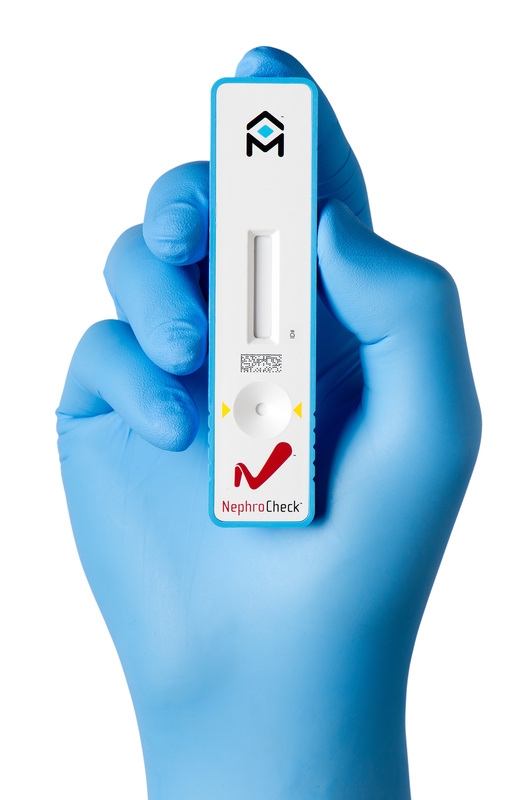 The 276 trial participants who were NephroCheck Test-positive for being at risk of developing moderate to severe AKI (NephroCheck AKIRISK Score of >0.3) were randomized into either a control group, which received the institution’s standard care, or to an intervention group, which received treatment per KDIGO guidelines. Treatment of the intervention group included avoidance of nephrotoxic medications and close hemodynamic monitoring of heart function and blood pressure parameters in conjunction with use of intravenous fluids and vasoactive drug, in order to avoid organ damage. The result was that within 72 hours there were 21 fewer cases of moderate to severe AKI in the intervention group than in the control group (41 cases in the intervention group compared to 62 in the control group), a 33.9 percent reduction. The absolute risk reduction rate was 15.2 percent when intervention was applied. “It’s notable that these significant results were achieved in a study enrolling all types of open-heart surgery patients, regardless of co-morbidities, yet risk assessment was not compromised,” said Paul McPherson, Ph.D., Astute Medical’s chief scientific officer. “Additionally, the intervention group was managed per consensus guidelines with treatments that are accessible to all physicians who manage these types of patients,” McPherson said. “By stratifying patients as low or high risk early after surgery, the NephroCheck Test can help physicians deliver personalized patient management strategies that improve AKI outcomes and optimize the use of hospital resources,” he said. Dr. Zarbock has received unrestricted grant and lecture fees from Astute Medical. 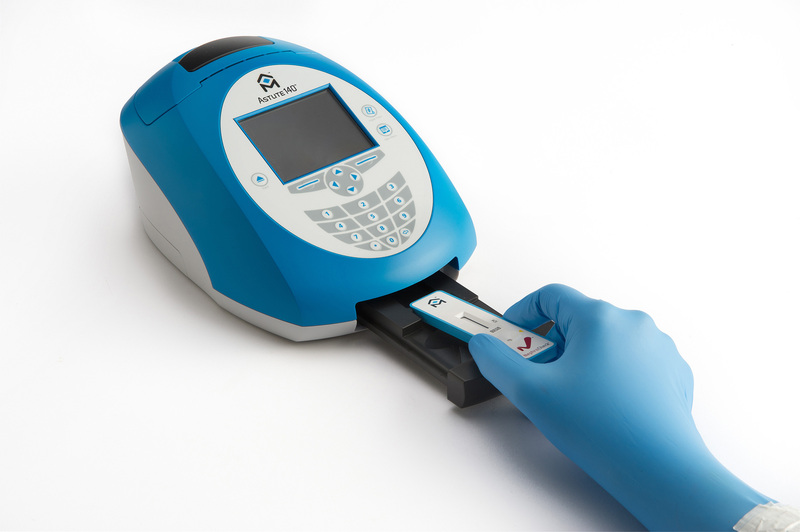 The NephroCheck Test System is intended to be used in conjunction with clinical evaluation in patients who currently have or have had within the past 24 hours acute cardiovascular and or respiratory compromise and are intensive care unit (ICU) patients as an aid in the risk assessment for moderate or severe AKI within 12 hours of patient assessment. The NephroCheck Test System is intended to be used in patients 21 years of age or older. For more information on the NephroCheck Test visit NephroCheck.com. Astute Medical is dedicated to improving the diagnosis of high-risk medical conditions and diseases through the identification and validation of protein biomarkers that can serve as the basis for novel diagnostic tests. The Company’s focus is community- and hospital-acquired acute conditions that require rapid diagnosis and risk assessment. Astute Medical’s current areas of interest include abdominal pain, acute coronary syndromes, cerebrovascular injury, kidney injury and sepsis. 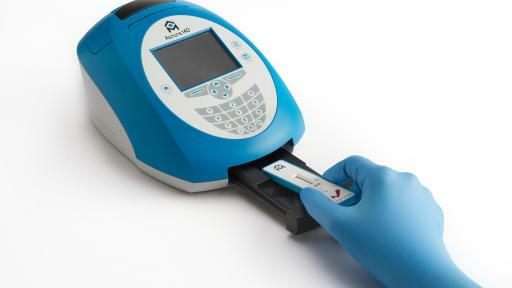 Astute Medical’s NephroCheck Test received 510(k)-clearance through the FDA’s de novo classification. The test is CE-marked and available in Europe. 1Kidney Disease: Improving Global Outcomes (KDIGO) CKD Work Group. KDIGO 2012 Clinical Practice Guideline for the Evaluation and Management of Chronic Kidney Disease. Kidney Inter., Suppl. 2013; 3:1-150. 2 McCullough PA, et al. Diagnosis of acute kidney injury using functional and injury biomarkers: workgroup statements from the tenth Acute Dialysis Quality Initiative Consensus Conference. Contrib Nephrol. 2013;182:13-29. 3 Dasta JF, Kane-Fill SL, Durtschi, AJ, Pathak DS, Kellum JA. Costs and outcomes of acute kidney injury (AKI) following cardiac surgery. Nephrol Dial Transplant. 2008; 23:1970-1974. 4 Lewington AJP, Certa J, Mehta RL. Raising Awareness of Acute Kidney Injury: A Global Perspective of a Silent Killer. Kidney Int. 2013;84(3):457-467. 5 Hobson CE, Yavas S, Segal MS, et al. Acute Kidney Injury Is Associated With Increased Long-Term Mortality After Cardiothoracic Surgery. Circulation. 2009;119:2444-2453.